There’s good news and bad news coming out of Sony Pictures today. First up, the good news: the studio is actively moving forward with The Girl in the Spider’s Web, an adaptation of David Lagercrantz’s page-turner and the first entry into Stieg Larsson’s iconic Millennium series after the author’s untimely death. The bad news? It’s a soft reboot of sorts, and will feature a whole new cast. That leaves no room for Rooney Mara, Daniel Craig and/or David Fincher to return in their respective roles, with today’s report confirming that Fede Alvarez (Evil Dead, Don’t Breathe) has been appointed at the helm. The search for a new actress to play the iconic Lisbeth Salander is now underway, though Variety’s Justin Kroll‏ notes that despite meeting with Sony early on in pre-production, Tomb Raider actress Alicia Vikander has officially passed. 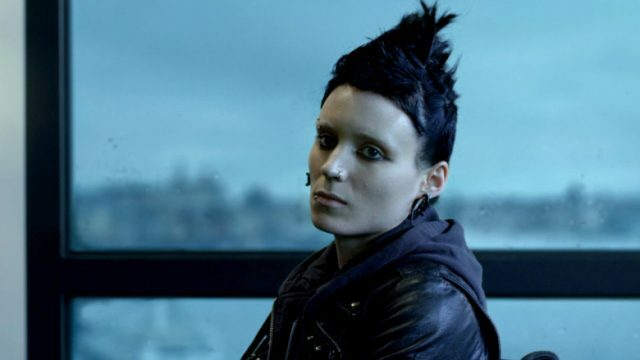 Noomi Rapace originally portrayed The Girl With the Dragon Tattoo for Niels Arden Oplev’s Swedish version. As for The Girl in the Spider’s Web, the pieces are now finally beginning to fall into place. Filming is expected to get underway this September ahead of a release on October 5th, 2018. Behind the scenes, we know that scribes Steven Knight, Alvarez and Jay Basu contributed to the screenplay, which will seemingly pave the way for a somewhat unconventional sequel. The Girl in the Spider’s Web opens October 5th, 2018. Tell us, do you think a total casting overhaul is the best course of action to take in this case? Let us know in the usual spot.